Badhaai Ho Trailer: Ayushmann Khurrana, Sanya Malhotra & Team Progress The New Era Of Comedies! 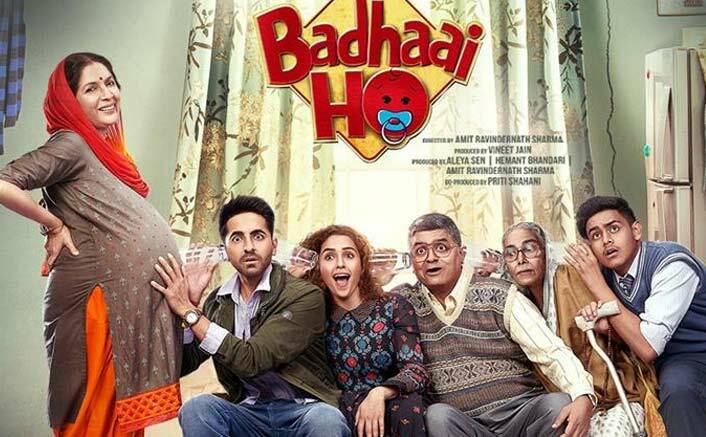 Home » Videos » Badhaai Ho Trailer: Ayushmann Khurrana, Sanya Malhotra & Team Progress The New Era Of Comedies! Just imagine if you mother gets pregnant when you are in the age of dating someone! Well, this sounds crazy. Badhaai Ho Trailer: After releasing some super quirky posters, the makers of Badhaai Ho have finally released the fun filled trailer today. The film features Ayushmann Khurrana, Sanya Malhotra, Neena Gupta and Gajraj Rao in the pivotal roles. Directed by Amit Sharma, the trailer of Badhaai Ho will literally go ROFL! The story of the film revolves around Ayushmann Khurrana and his family. Just imagine if you mother gets pregnant when you are in the age of dating someone! Well, this sounds crazy. The trailer is all about this. Tiger Shroff Lives By These 3 Fs & Everyone Should Note The Down! Kuch Kuch Hota Hai 2: Ranbir Kapoor As Shah Rukh Khan, Alia Bhatt As Kajol & Janhvi Kapoor As Rani Mukerji? Well, we just can’t stop laughing after watching this hilarious trailer. Now we can’t really wait for the film to release in the theatres. Badhaai Ho is slated to release on October 19, 2018.